In a separate post, I shared how to easily create a static home page in WordPress. 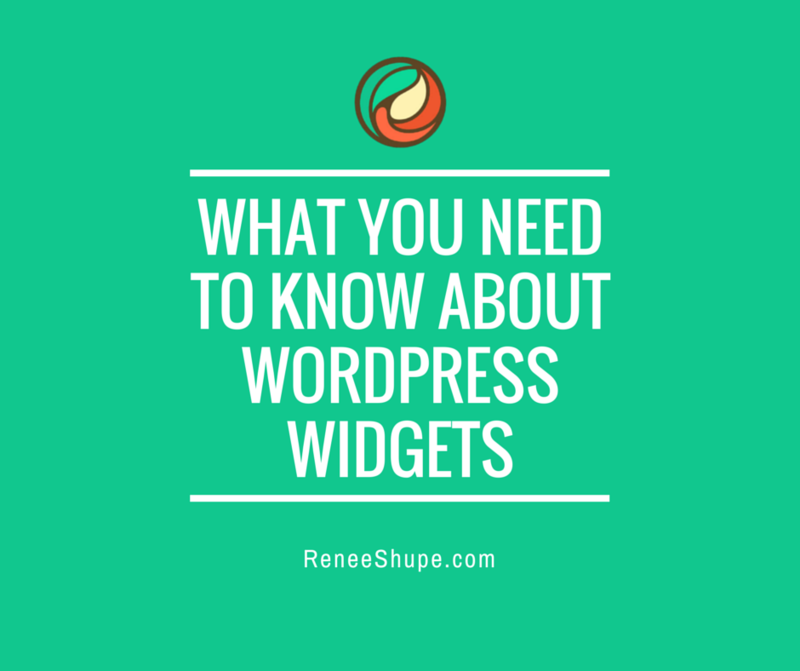 If you visit that tutorial, you will learn how, in a default installation, WordPress acts as a “blog” and presents a self-updating list of recently-published posts. 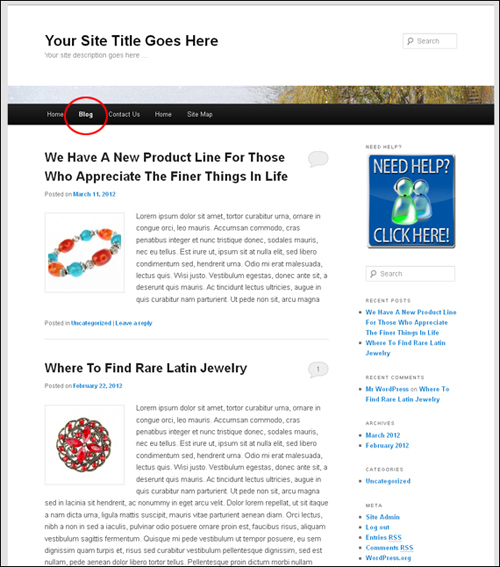 Note: The way your blog posts appear on your site depends to a large extent on what WordPress theme you use. 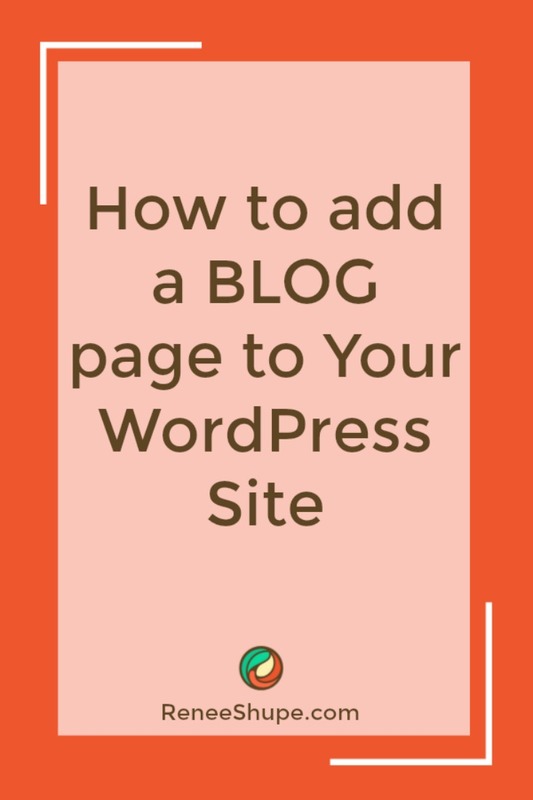 Now, what if you would like to use your site as both a website and a blog, so visitors can be greeted by a welcome page when landing on your site like a normal website, but also be able to read your most recent posts on a “blog” section of your site? 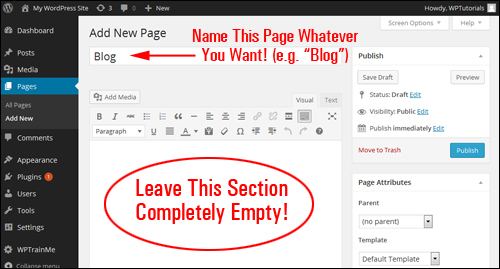 Easy … just create a blog page! 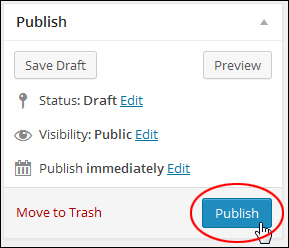 WordPress allows you to create a “blog” section within your website that will display your new post entries to readers with the most recent entries displaying at the top of the page. In this tutorial you are going to learn how to create a “blog” section in your site that will display your latest articles. 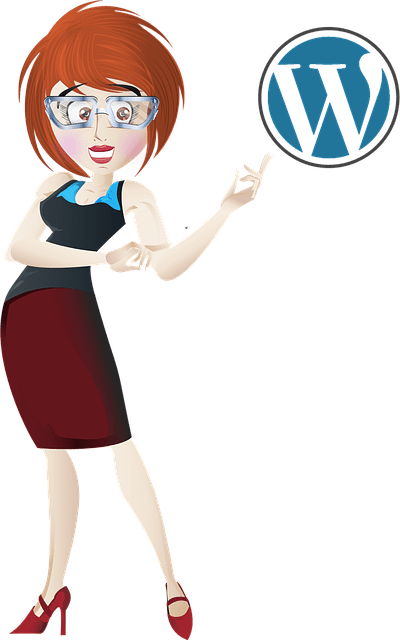 As explained earlier, in a default WordPress installation, your site behaves characteristically like a blog, displaying the most recent articles dynamically (i.e. not fixed) on the welcome page. Now, we want our site to look more like a static website (i.e. 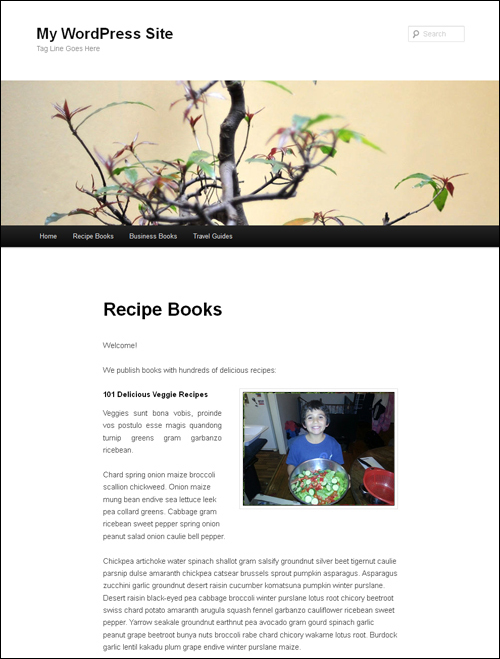 with a “fixed” home page), but also have a “blog” component. To create a Blog Page then, let’s first create a new page. Important: Leave the content section of this page empty. Do not type anything into the content editor section. Your Blog Page has now been created, but we’re not quite done yet. 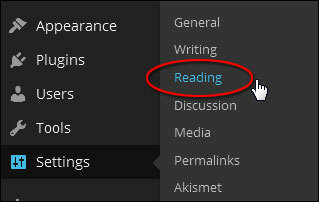 We still need to instruct WordPress to make the Blog Page be the page that will display your post. In Posts page: choose the page you have just created from the dropdown menu. Congratulations! 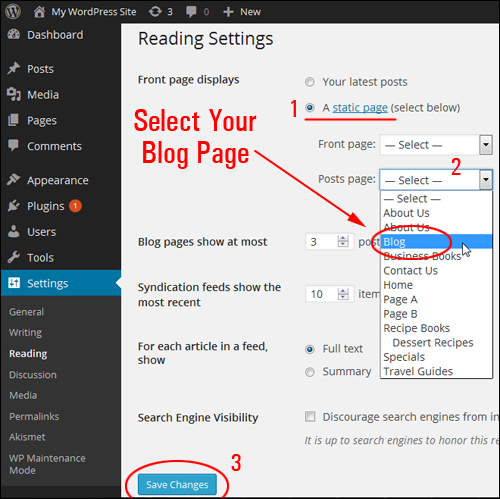 Now you know how to create a separate blog area on your site that will automatically list your newest blog post entries.